Falll 2018 is an online history course. Office hours will be by appointment. Make a request by sending an email to arendale@umn.edu. Academic access in postsecondary education and increasing the success of low-income, first-generation college, and historically underrepresented students in college. I study the use of learning technologies, social media, peer learning groups, and Universal Design for Learning (UDL) and conduct research studies with students enrolled in my courses. Greetings. My formal academic preparation is history and higher education administration. That background serves me well as I investigate the history of academic access programs, learning communities, learning technologies, and Universal Design for Learning (UDL) to increase college student graduation rates. I teach an undergraduate course in recent world history and graduate courses preparing college faculty members to increase access and effectiveness of their college students. 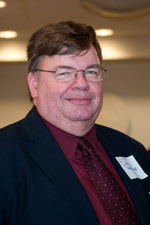 I have enjoyed my work in postsecondary education for more than three decades at community colleges and four-year institutions with roles in academic and student affairs. Making connections between the past and today is important to me. I want to learn the lessons from history and apply them today with solving problems. Each of us is responsible for making a difference by doing the things we were placed on this planet to do and act in a responsible and respectful way with everyone around us. I work hard to create a learning environment in the classroom that is respectful of the topics we explore, the cultures we encounter, and the different opinions we share while exploring history. I work with my students to create an engaging learning experience. The rest of this profile goes into more detail about my work. Research: This is the foundation for what I teach in the classroom and write about. Teaching: My role as a teacher is to construct a learning environment that is conducive for my students to explore, learn, and develop new knowledge and skills. The classroom is also the place that I evaluate new learning pedagogies and conduct research. The classroom serves as my laboratory and students are my partners with the research. Community Engagement and Service: I deeply embrace public engagement as part of my responsibility as a University faculty member to collaborate with the community in creating and disseminating new scholarship. Arendale, D. R. (Section Editor for five chapters). (2018). In R. F. Flippo, R. F., & Bean, T. W. (Eds). Handbook of College Reading and Study Strategy Research (3rd ed.). New York, NY: Routledge. Arendale, D. R., & Lee, N. L. (2018). Academic bridge programs. In R. F. Flippo and T. W. Bean (Eds). Development, Department of Curriculum and Instruction. Retrieved from ERIC database (EDxxxxxx). study group review sessions. The Learning Assistance Review, 21(2), 9-37. Arendale, D. R., & Hane, A. R. (2014). Academic and personal growth by PAL participants. Research & Teaching in Developmental Education, 31(1), 7-29. Arendale, D. (2014). Postsecondary peer cooperative learning programs: Increased diversity, sophistication, and effectiveness. In J. L. Higbee (Ed). Continuing Contributions to the Field: Essays by the Fellows of the Council of Learning Assistance and Developmental Education Associations in memory of Dr. Martha Maxwell (pp. 137-160). Boone, NC: National Center for Developmental Education, Appalachian State University. Arendale, D. R. (2010). Access at the crossroads: Learning assistance in higher education. ASHE Higher Education Report 35 (6). San Francisco: Jossey-Bass. Arendale, D. R. (Ed.). (2009). Glossary of essential terms for learning assistance and developmental education. In S. Clark-Thayer & L. P. Cole (Eds. ), NADE self-evaluation guides: Best practice in academic support programs (2nd ed., pp. 151-171). Clearwater, FL: H&H Publishing. (Majority of glossary entries reprinted from Arendale, D. R., & Others. (2007). A glossary of developmental education and learning assistance terms. Journal of College Reading and Learning, 38(1), 10-34). Arendale, D. R. (2009). Course-based Learning Assistance (CLA) program guide. In S. Clark-Thayer & L. P. Cole (Eds. ), NADE self-evaluation guides: Best practice in academic support programs (2nd ed., pp. 105-138). Clearwater, FL: H&H Publishing. Arendale, D. R., Barrow, H., Carpenter, K., Hodges, R., McGrath, J. Newell, P., & Norton, J. (2009). Position paper: Creating a new professional association. Journal of College Reading and Learning, 40(1), 77-90. Arendale, D. R., & Ghere, D. (2008). Teaching history using Universal Instructional Design. In J. L. Higbee & E. Goff (Eds. ), Pedagogy and student services for institutional transformation: Implementing Universal Design in higher education (pp. 113-130). Minneapolis: University of Minnesota, College of Education and Human Development. (ERIC Document Reproduction Service No. ED503835). Retrieved from http://cehd.umn.edu/passit/. Arendale, D. R., & Others. (2007). A glossary of developmental education and learning assistance terms. Journal of College Reading and Learning, 38(1), 10-34. Arendale, D. R. (September 2017). Best practices of postsecondary peer cooperative learning programs. Workshop delivered online for the National College Learning Centers Association. Arendale, D. R. (November 2016). Induction ceremony for best education practices for TRIO programs. Annual Conference of the Educational Opportunity Association. St. Louis, MO. Arendale, D. R. (November 2016). Identifying, validating, and disseminating best education practices. Paper presented at the Annual Conference of the Educational Opportunity Association. St. Louis, MO. Conference of the National Association for Developmental Education. Anaheim, CA. for the Educational Opportunity Association. Arendale, D. R., Monk-Morgan, K., & Colvin, D. (September 2015). Overview of the MAEOPP Best Education Practices Center. Paper presented at the Council on Opportunity in Education Conference. Atlanta, GA.
Arendale, D. R. (June 2015). Universal Instructional Design and best practices of embedded developmental education within entry level courses. Workshop delivered for the ten-campus Maricopa Community College District. Phoenix, AZ. Arendale, D. R. (March 2015). Leadership emergence among facilitators of peer study groups. Paper presented at the National Association for Developmental Education National Conference. Greenville, SC. Arendale, D. R. (February 2015). Postsecondary peer cooperative learning groups. Paper delivered at the National Association for Developmental Education Conference, Greenville, SC. Holschub, J. P, Arendale, D. R., Caverly, D., Granger, S., McIver, M., & Villanueva, V. (January 2015). Future state of developmental education (Panelists). Panel discussion at the Student Success Symposium, Texas State University, San Marcos, TX. Arendale, D. R. (January 2015). . Personal and professional development with study group leaders. Paper presented at the Student Success Symposium, Texas State University, San Marcos, TX. Arendale, D. R. (November 2014). Leadership emergence among facilitators of peer study groups. Paper delivered at the College Reading and Learning Association Conference, St. Paul, MN. Arendale, D. R. (November 2014). Postsecondary peer cooperative learning groups. Paper delivered at the College Reading and Learning Association Conference, St. Paul, MN. Arendale, D. R. (July 2014). Integrating support services, instruction, and technology. Kellogg Institute for Developmental Education Leadership Academy. Appalachian State University, Boone, NC. Arendale, D. R. (November 2012). Impact of the MAEOPP Promising and Best Education Practices nationally. Plenary address delivered at the Mid-America Association of Educational Opportunity Program Personnel Conference. Kansas City, MO. Arendale, D. R. (November 2011). Identifying, validating, and disseminating best practices through an online center. Plenary address delivered by the Mid-America Association of Educational Opportunity Program Personnel Conference. Fontana, WI. Arendale, D. R. (November 2009). Identifying and disseminating best practices to improve college student achievement and persistence. Keynote address delivered for the Mid-America Association of Educational Opportunity Program Personnel Conference. St. Charles, IL. Arendale, D. R. (July 2009). Peer Assisted Learning (PAL) programs: Choosing the most effective model to increase student retention and academic achievement. Paper presented at the Noel-Levitz National Conference on Student Recruitment, Marketing, and Retention. San Antonio, TX. Arendale, D. R. (March 2007). Promising practices in developmental education. Keynote address delivered for the Developmental Education: Innovative Teaching Strategies Teleconference (Starlink Satellite Network of 160 colleges nationwide). Dallas, TX.